Pec implants (also known as pec augmentation) is a surgical procedure that uses implants to enhance the size and shape of the chest. 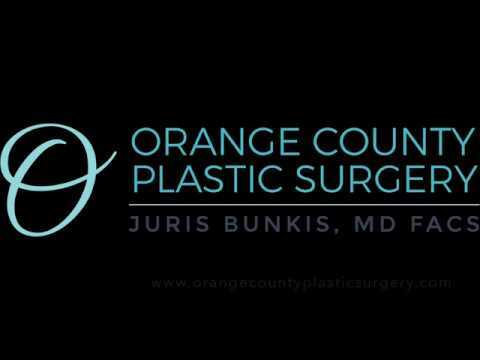 Men from all over the West Coast visit Newport Beach plastic surgeon Dr. Juris Bunkis for pec augmentation. Dr. Bunkis understands that achieving the chiseled look you desire through exercise alone is sometimes impossible. This is why Dr. Bunkis is thrilled to offer his male patients pec implants to finally acquire the look they've been longing for. The results can leave you with a stronger, more masculine chest contour. Orange County Plastic Surgery also has another office in Dublin, CA to service all your asethetic needs and goals. "patient - Everyone has been very nice. My results have been great.... I would consider getting more work done in the future..."
"As usual, the staff was friendly, caring, competent and professional! Made me feel right at home!!! - As usual, the staff was friendly, caring, competent and professional! Made me feel right at home!!!" "Dr. is wonderful and the whole experience you feel secure, informed and well taken care of - Dr. is wonderful and the whole experience you feel secure, informed and well taken care of. I would never for to another.. The staff is great, especially the receptionist. I highly recommend it!!!" "Very nice visit - The staff was friendly and helpful with my concerns and questions. And Dr. Bunkis was comforting and knowledgeable with all information. I enjoyed my experience"
Once you have undergone a thorough consultation and discussed your past medical history with your plastic surgeon, then an individualized treatment plan will be developed. Every body type is different, which is why we work diligently to offer a wide variety of implant shapes and sizes. If need be, implants can also be custom made to compliment your specific physique. Prior to surgery, you will be placed under general anesthesia. Then, a small incision will be made in the hair region of your armpit. This will strategically hide the scars from plain site. Your surgeon will then create a pocket underneath the chest muscles and carefully insert the implant. Once the implant is secured, the incisions are closed and the process is repeated to the other side. Typically, pec implant surgery takes 1 – 2 hours to complete. Swelling and soreness is normal but the incisions should heal within 14 days. Normal activities may be resumed within 2 weeks, but exercise should be postponed until optimal healing has occurred. It's important to follow all post-operative instructions provided by your surgeon. A compression garment will also be placed once the procedure is complete to minimize discomfort. Over the counter pain medication can further aid your discomfort as well. If you have underdeveloped pectoral muscles, a naturally flat chest, or are a body builder who wishes to enhance your look, then pec implants may be right for you. Call or visit our office today to schedule a one-on-one consultation with Dr. Bunkis to learn more about pec augmentation.